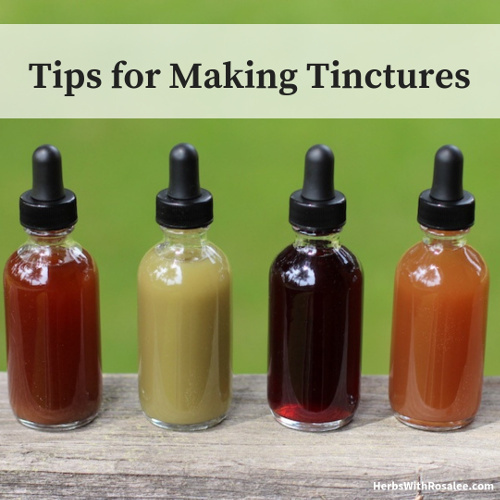 Are you making tinctures at home? Do you ever wonder if your homemade tinctures are weaker or stronger than store bought tinctures? While the basic principles of making a tincture are fairly simple: Herbs + Alcohol = Tincture, there’s a lot more to it! I’ve seen homemade tinctures that are so potent and vibrant, there’s simply no way you could buy that on a grocery store shelf. For example, one year I harvested a lot of Oregon Grape root from my friend’s yard. It was slowly taking over and she was ready for it to be gone. I harvested the root respectfully (and with a lot of sweat; it took several hours! ), washed the roots and then spent many hours carefully scraping the root bark off of the root. 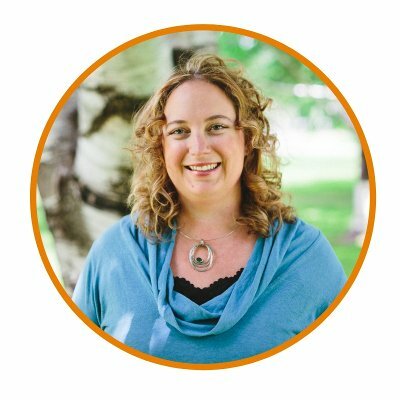 I measured out the root and alcohol to make sure I had a strong tincture, and then I shook it every day, pouring in my intentions and gratitude. The result was an unbelievably dark orange tincture that was incredibly bitter and so very strong. Most Oregon Grape root tinctures you buy commercially use the entire root; carefully scraping off that potent root bark would take too long! I’ve never seen a commercial tincture that has even come close to my homemade tincture version. On the other hand, I’ve seen lots of aspiring home medicine makers produce tinctures that are very weak. While lots of good intentions might have gone into the jars, the end result, for one reason or another, is feeble medicine. 1. Making Tinctures: Start With the Best Herbs! Ideally, herbs are organic (not necessarily certified but grown without chemicals and away from pollution). Often the best herbs are the ones that grow near you. If you don’t garden or forage yourself, check out my listing of local herb farms to see if there’s an herbal farmer or wildcrafter near you for your fresh herbs. Mountain Rose Herbs is an exceptional place to get dried organic herbs of high quality. The best way to know if an herb is vibrant is to use your senses. Depending on the herb, it should be colorful and have strong aromatics. Regularly tasting herbs can help you to develop your sense of vibrancy. Over time you’ll easily be able to tell the difference between weak thyme and super spicy thyme (repeat for every herb out there - this is why herbalists never get bored!). Sometimes this matters a lot (e.g., fresh milky oats). Sometimes it doesn’t matter all that much. Roots? Leaves? Flowers? Seeds? All? Harvest the right plant part at the ideal time. This can be as simple or as complicated as you want. In general, use higher alcohol content for resinous herbs and lower alcohol content for demulcent herbs. I often look at the labels of medicine makers I trust and use what they are doing as a starting place. 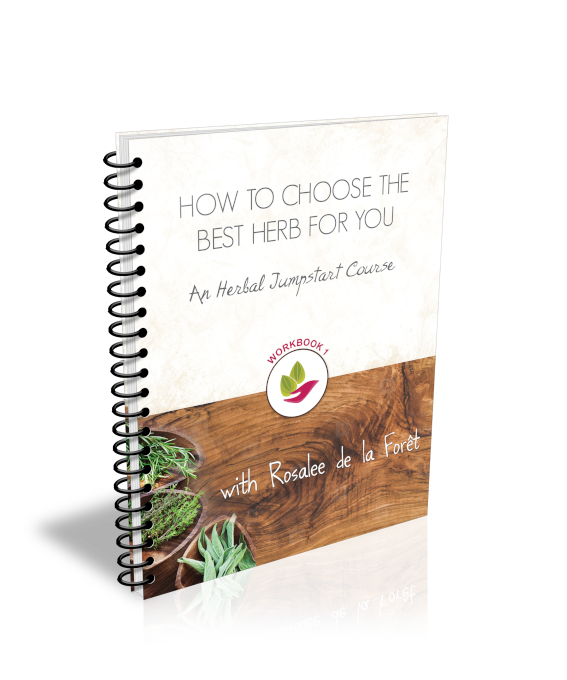 Whether you choose to use the ratio method (measuring how much herbs to alcohol, generally 1:2 with fresh herbs or 1:5 with dried herbs) or the folk method, at least understand potency. Again, I often see photos of people’s tinctures where the whole fresh herbs are daintily floating in the alcohol. The end result is a tincture with a 1:30 ratio rather than 1:2 ratio. The difference in potency there is huge! If that’s your intention, great. If your intention is to make high potency herbal tinctures, then rethink that! 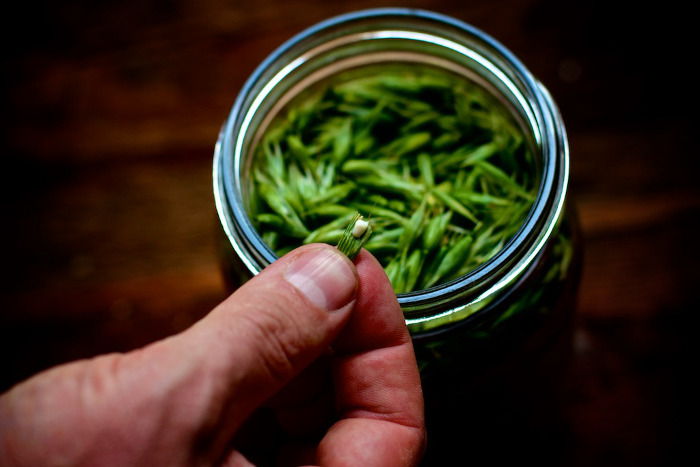 Fresh herbs at a 1:2 ratio are very finely minced, sometimes even blended, and are packed tightly into the jar. If you dropped a marble in, it would stay on top of the herbs, not sink through. Have you ever struggled to get a 1:2 ratio with fresh herbs? Check out jim's video with a trick to do just that. 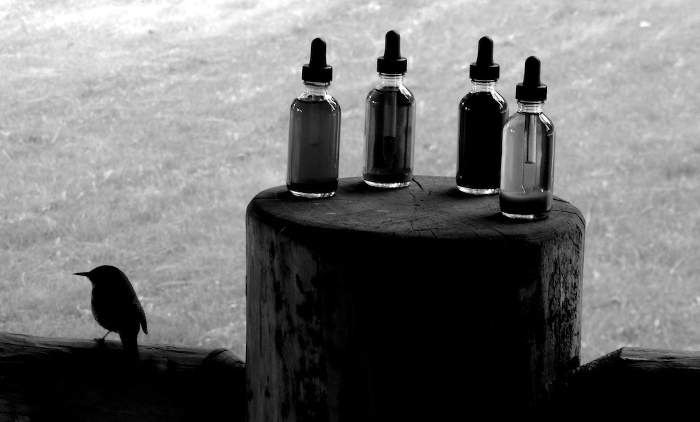 Mountain Rose Herbs has a fantastic guide to the ins and outs of making tinctures here. In addition to the text there are some great videos of my friend and master medicine maker, Thomas Easley, demonstrating a couple different methods. Over time you’ll be able to discern if a tincture tastes vibrant and potent or just has a mild herbal taste amongst the alcohol. And of course, it just begins with taste; regularly feeling how the herbs work in your body is an essential part of the process. When stored in a dark cool place (without a lot of temperature variation), herbal tinctures can last a long time. Again, taste is going to be your best tool for determining if a tincture is still potent.